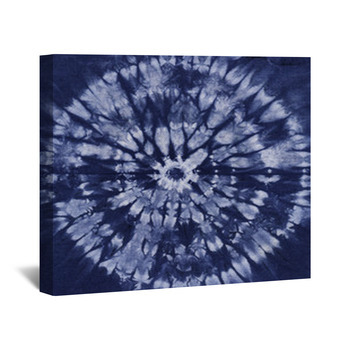 Do recall the time when you made tie dye shirts in school? 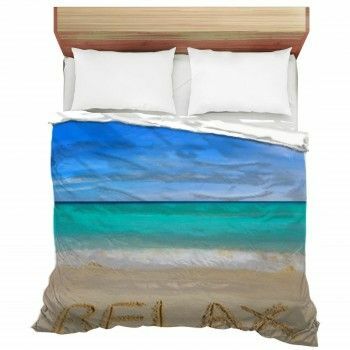 Tie dye patterns never get and that’s why, Vision Bedding features an entire wall art category dedicated to it. 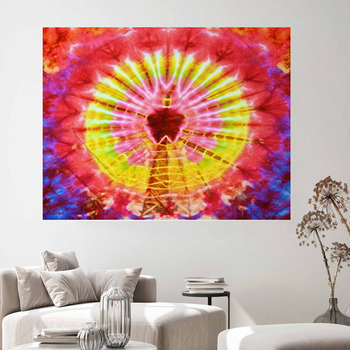 Do you like the combination of yellow, red, and pink? 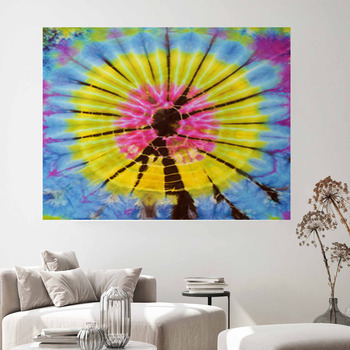 The close-up shot of tie dye fabric texture background wall art features a large red circle, followed by a yellow circle, and a pink center. 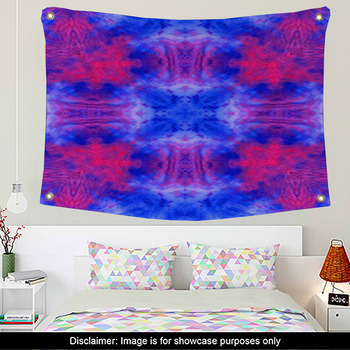 If you want the same patterns, but different colors, check out the close-up shot of tie dye fabric, consisting of blue, yellow, and pink colors. 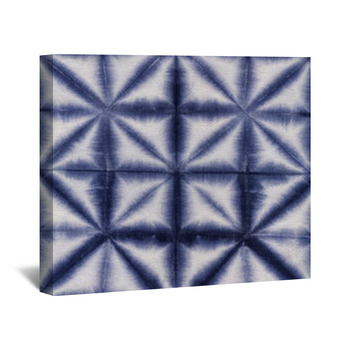 Do you like abstract patterns? 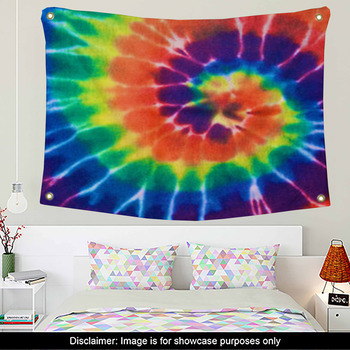 See the close-up shot of colorful tie dye fabric texture background, consisting of pink, yellow, orange, red, blue, and black colors. The material dyed Batik, shibori wall art shows a circular blue pattern on a dark blue surface. 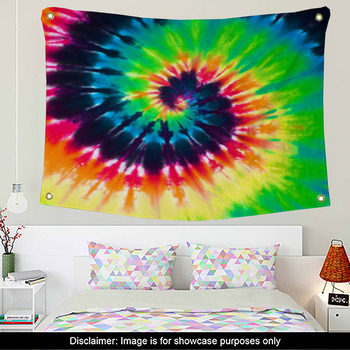 If you want to display an image of a glowing pattern, refer to the tie-dye in blue, pink, yellow, and green wall art printed on a purple backdrop. 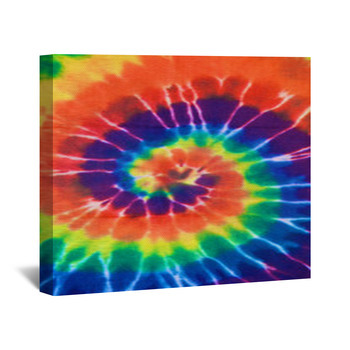 The close up shot of tie dye fabric texture background wall art, showing a reddish-orange glowing floral pattern. 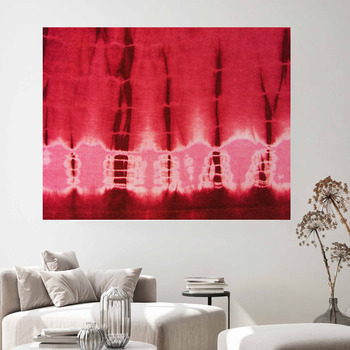 We also have the same pattern available in light orange and red. 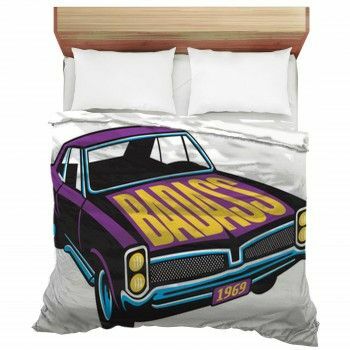 Are you looking for a purple and white combination? The purple and white tie fabric texture background wall art features a white leaf-like pattern drawn on a purple surface. As a kid, did you enjoy looking through a kaleidoscope? 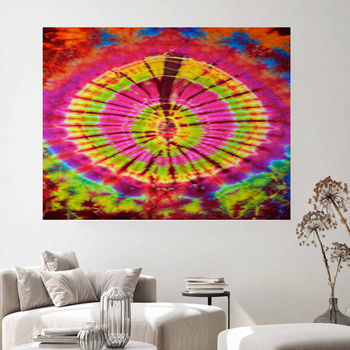 You can own the pattern, as it is illustrated on our kaleidoscope abstract retro background wall art, using the colors black, yellow, green, pink, and blue to create it.